Museums have never been static institutions, and the curator’s profession is constantly changing as a result. Today’s museums, more than ever before, interact with the society around them. Along with rapid changes in the makeup of the population, new questions come to the fore: curators too are constantly thinking of how to present a multi-faceted view of history, how to deal with diversity and inclusivity. Meanwhile, technological advances are facilitating ever more sophisticated scientific analyses of materials, which in turn raise new questions in relation to art history and alter the canon. This impacts on the choices made when selecting artworks for temporary and permanent exhibitions. What does all this mean for the curator’s profession? What is the tradition from which our profession originates? Could we draw on this tradition to find answers to the new questions confronting us? Berlin provides the perfect surroundings in which to reflect on this subject. In this city, a public museum was planned as early as 1815. With the acquisition of Edward Solly’s collection in 1821, a large number of early German and Netherlandish works came to Berlin. The collections of the Staatliche Museen zu Berlin, especially those of the Gemäldegalerie and the Kupferstichkabinett, rank among the most important holdings of Netherlandish art from the 15th to 17th centuries worldwide. They would become a point of departure for systematic research on early Northern European art. 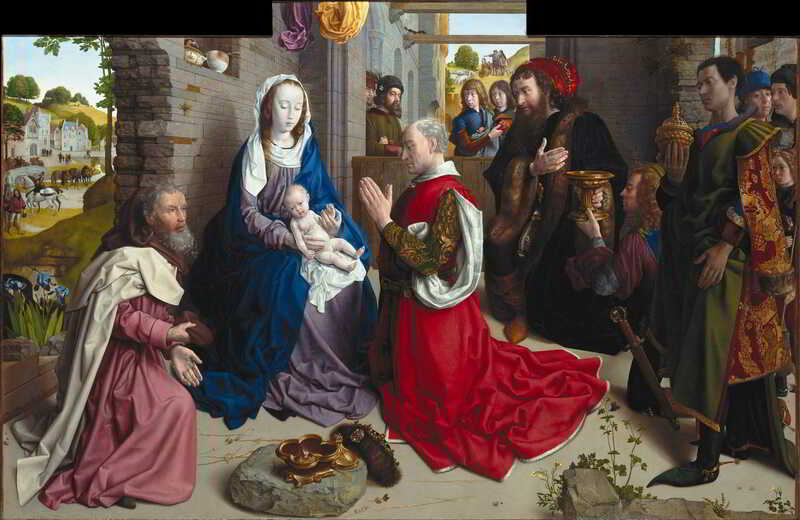 In addition, Berlin occupies an important place in the development of art history as an academic discipline, especially in relation to the growing interest in early Netherlandish painting. Wilhelm Bode was a pivotal figure in the later development of the Berlin collections, crafting an acquisition policy that would remain in force for decades. Bode was a leading scholar in several fields of art history, including 17th-century Dutch painting, Italian Renaissance sculpture, and Oriental carpets. A current trend in museum exhibitions that harks back to Berlin collections of the early 20th century is the combination of different media, such as paintings, sculpture and the applied arts. This was practiced in the Berlin Museums in Bode’s day, both in period rooms and in a more or less neutral ambience. Max J. Friedländer, assistant at the Gemäldegalerie from 1896, who became deputy director in 1904 and served as director from 1929 to 1933, followed the Berlin tradition of scholarship in relation to early Netherlandish painting, eventually becoming its most respected and arguably most influential connoisseur, up to the present day. Soon after his appointment, however, Berlin ceased to be a center of art scholarship and research. The Third Reich and the Second World War marked a break with the past: scholars like Friedländer were threatened and fled from the country, and the Berlin collections would eventually suffer a severe loss in 1945, when over 430 paintings and hundreds of sculptures perished in a fire that swept through an air raid shelter, where they had been stored to keep them safe. What does this history mean for our position as curators of Old Masters? In what respects could we said to be working along the same lines as our predecessors a hundred years ago, and what fundamental changes have taken place? Have our much larger fund of knowledge and far more sophisticated ideas about historical art widened our understanding in comparison to those pioneering times, or, to the contrary, actually narrowed it? Can we find answers to the questions confronting us from society while remaining faithful to the heritage of luminaries such as Bode and Friedländer?